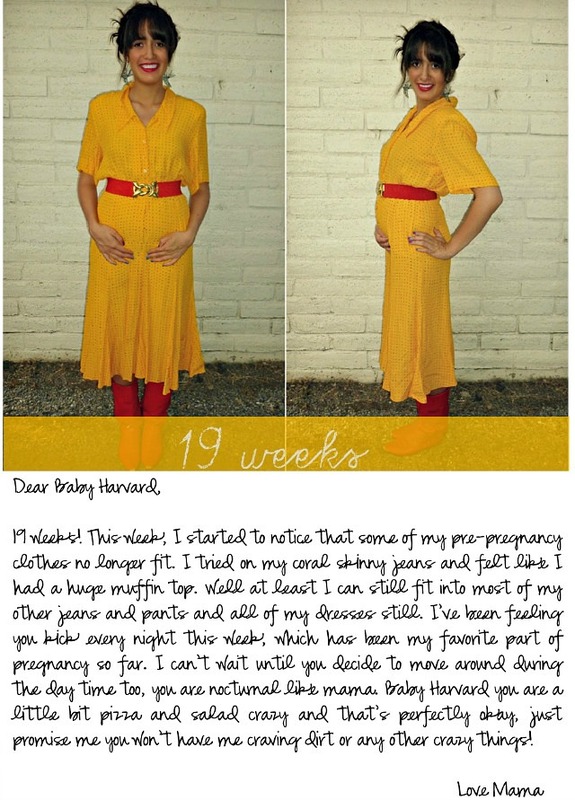 LOVE that you rocking colour during your pregnancy - Beautiful! Oh, and congrats on your sweet baby! Pretty looking. 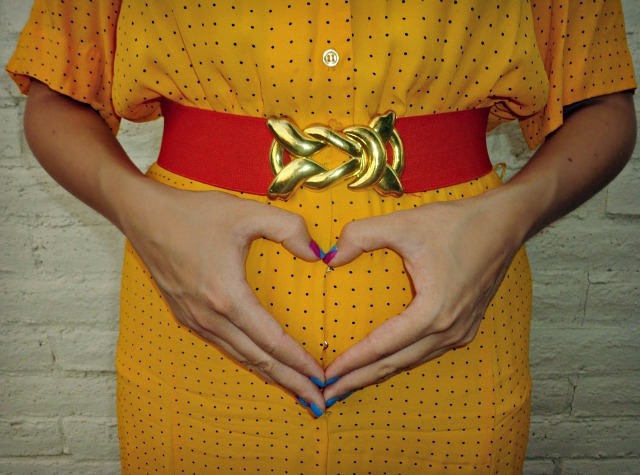 The color combo is very nice and of course the "heart" in the belly pictures is my fav. TOTALLY jealous you are fitting in your jeans still. It's a sad day when you can't even get them up! 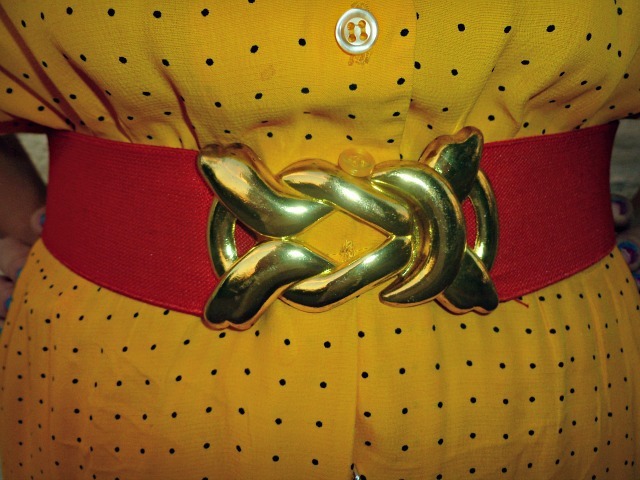 I love the red and mustard in this, they look perfect together. Ah your little baby Harvard has such a stylish momma! you are simply adorable! love your blog. xo! 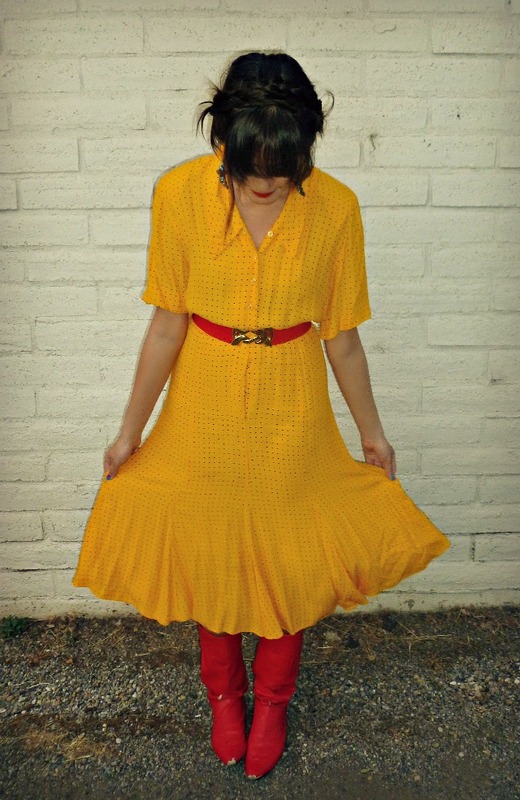 So pretty, the bright yellow and red look great on you, a perfect summer look! Pizza and salad doesn't sound so bad at all! i feel like you should be further along! i wish you were :) i'm SO happy to hear that you feel little "mini" though. that's so great! I loveee the red belt! Oh my goodness you are such a cute pregnant lady :) Love this outfit - especially those boots. I'm glad you found my blog! I'm now following you, hope you follow back! 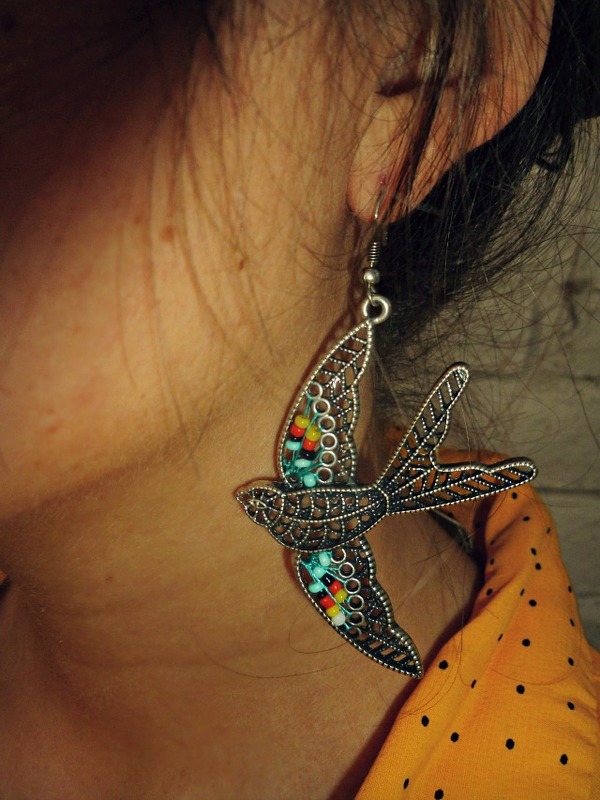 Love the outfit and that earrings is just too cute. I also love the way you write little letters to your baby. I craved tomatoes and pizza with my son when I was preggers with him. Hahaha we stuffed our faces with pizza today too. You pull off that yellow very well!